Bendable brush applicators. 5.5" bendable handle with bristles. Bend easily to reach around corners and in the tightest places! 144 brushes in green, red, yellow and blue. Multi-purpose mini brush tips. Disposable brush tips that fit into your handle. Great price and excellent quality. Two handles plus 100 brush tips. 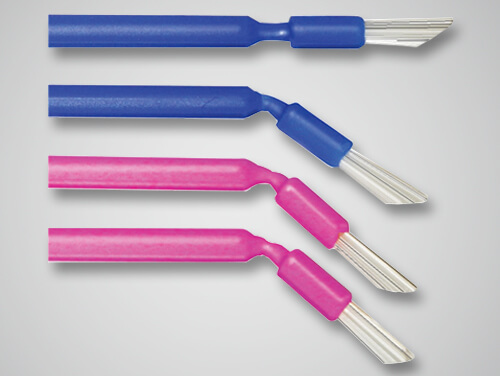 Micro type applicator brush easily bends into any angle. Applicator brush made of small non-linting, non-absorbent fibers. Tube of 100. 4" Bendable taper applicator brush. Makes it easier to apply materials. The brush’s chemical resistant fibers hold up to the harshest dental materials and they allow for greater carrying capacity and better smoothing and spreading. 100 per tube. Microbrush applicators easily bend into any angle. Made of small non-linting, non-absorbent fibers. Solutions as small as 1/8th of a drop can be accurately be placed. Tube of 100. Delivery tips with a brush end. 100 per pack. Vista Micro Flow Thru. 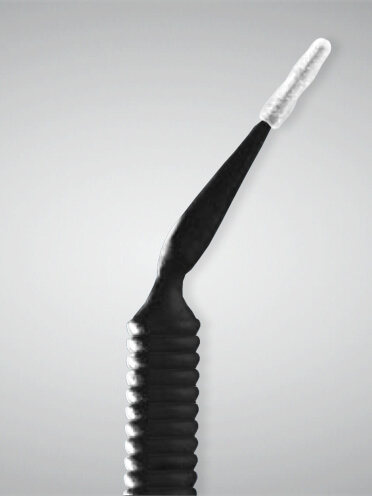 Bendable brush tips bends up to 90° without crimping. Non-linting, non absorbent plastic applicator brush tips. Luer lock hub. 20 per pack. Sol u Flo. Ideal for use with low viscosity solutions. 19ga tip with adjustable brush fiber length. Curved cannula for optimal entry. Opaque luer lock hub. Nylon bristle end enables controlled delivery of solution. 20 per pack. Nylon brush fiber for conrolled delivery of viscous material, etchants & resins. Luer lock hub. Minimizes bubbles. Adjustable brush tip fiber length. Curved cannula for optimal entry. Pre-bent 19ga Tips. Ideal for application of hemostatic agents. Curved cannula for optimal visibility. Padded-end brush tip.